Emirates Airline has cancelled an order for 70 Airbus A350 twinjets it had placed in 2007. The cancellation, for 50 A350-900s and 20 A350-1000s due to start being delivered from 2019, is a blow to Airbus’s ambitions for the aircraft as it nears service entry with Qatar Airways later this year. 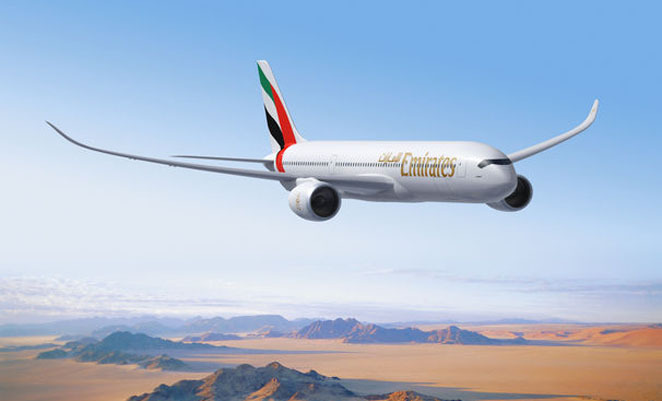 Emirates last year placed a large order for 150 Boeing 777Xs to replace some of its 777-200s and -300s in service from 2018. The A350 backlog stands at 742 firm orders following the cancellation. An indication, in Emirates opinion, of 777X superiority over the A350? In my opinion Qantas shouldn’t go anywhere near Airbus. What they need is the 777. Every major airline around the globe uses the 777 but not Qantas. The 777 is one of the most advanced and longest ranging aircraft built to date. It would change everything for Qantas and a new CEO perhaps. Given Qantas are no certainty to convert the dirt cheap 787 options they have, I think it’s highly unlikely that they will spend the sort of coin required for 777s or A350s. Also ordering 777s would be an admission of the mistake made in not buying them much earlier. Emirates throwing their weight around again. Do it our way or the highway. There is a reason they like the 777X, they put a lot of input into the design. Input which was excluded when changes were made to the A350. This may also indicate Airbus are not going to double stretch the A350 to create a – 1100/1200 version. If this is true the 777x -9 has no competition. what happened in the 11hrs between your posts? You were all the way with Airbus and now its Boeing or I’m not going???? The decision by Emirates to cancel their order for A350’s has nothing to do with Boeing equipment being better than Airbus or VV. It is simply a decision by Emirates to consolidate their fleet with the A380 & the B773 ER. Both Airbus & Boeing manufacture excellent aircraft & I am sure the A350 will be outstanding as will be the post glitch B787. Emirates decision, I would say its the right one. Qantas have ignored the 777 since 1997 and to their detriment…….. Imagine how profitable the international division would have been flying 777’s instead of all 747’s they had trouble filling. Consecutive ceo’s have failed to order this superb plane but they knew best……but all the blue chip airlines that ordered the 777 are all profitable on their international routes while Qantas flounders. The a350-1000 is no match for the 777x and if airbus decided to morph it into the 1100 or 1200 to match the pax of the 777x they would sacrifice cargo and range which would eliminate other potential customers. Even flying the a380 hasn’t guaranteed profitability for Qantas…….Alan Joyce, 777x + 787-9/10 = PROFIT……..ITS A SIMPLE CALCULATION!!!!!!!!!! Shareholders would be ecstatic!!!!!!! John Harrison is correct about a small fleet type. To assist with that a 787 would be a better option than the A350. Qantas International flights are never empty. Why they don’t fly to more destinations is only known to those above. QF seem content to let Emirates do all the flying for them.